It is painful to witness the screech of someone suffering from self-inflicted wounds. Such is the case with establishment or "moderate" Republicans who can't stand it when Donald Trump emerges on the scene. So let's examine the logical question: Who created the "Donald Trump" of this presidential campaign? 2 – Pardon me, I must have been looking the other way as a handful of judges deemed it within their power to find "constitutional" meanings that never occurred to the original writers of the Constitution, or as interpreted by thousands of jurists in the 239 years our nation has been on the planet. That includes everything from international issues to the most personal matters. 3 – Oh, and about immigration: Since when are the citizens of any nation "racists," "nativists," or worse because they believe new citizens should learn the nation's history, offer allegiance to its flag, learn its language, and obey its laws (including those that require that their entry be – well, you know – legal)? Previous generations from all over the world have assimilated into our culture without severing the family ties with those they left elsewhere. What's wrong with the very idea that newly acquired citizenship denotes new allegiance? 4 – The U.S. Chamber of Commerce decided to take full control of the 2014 Republican mid-term election campaigns, vowing to do it the "professional" way. The C of C succeeded in electing a lineup of (it must be acknowledged) some very capable people (albeit some in questionably handled primaries – i.e., Mississippi). The trouble is, the new Republican senators have been warned by the GOP establishment to go along with Obama on such matters as illegal aliens, a host of social issues, even parts of Obamacare and trade, and most distressing, letting Obama get away with his illegal assumption of unconstitutional powers ("I have a pen, I have a phone," etc.). 5 – Even a doctor's giggling in her wine about selling body parts of aborted babies has failed to move this Congress into cutting off funding for Planned Parenthood (though some lawmakers finally are beginning to bestir themselves on that one). Good grief, what does it take? Ceremonial killings? So why does Trump surprise? If the new class of lawmakers is repeatedly warned to shut its collective mouths about the sell-out that's going on all around it, who can be surprised when somebody, be it Donald Trump or somebody else, should emerge and express outrage "in the manner of The Donald," whose known past views on abortion are not militantly anti-abortion, per se. Nonetheless, when it comes to child butchery (especially for profit), he (figuratively) shakes congressional Republicans by the lapel as if to cry out, "What's the matter with you? Have you had a lobotomy?" So, let us cut through the emotion and try to arrive at a factual conclusion: The establishmentarians of the Republican Party created the Donald Trump of 2015. They created him by trying to shut out and shut up every forthright conservative in the GOP. Read that last sentence again. After the word "forthright," insert the word "charismatic." America's conservative party is hereby pressured to stick to the establishment script and stay away from any potential candidate who 1 – means what he says, and 2 – electrifies crowds by speaking his mind wherever and whenever he chooses. The attack on Trump is driven in part by an attempt to enforce a conformist song-book on elected officials who keep promises made to the voters; and the media convey an indignant surprise that there should arise someone to counter-act such discipline? 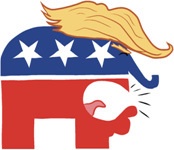 Face it: The scared rabbit wing of the Republican Party created Donald Trump by giving short shrift to Republican officeholders who were not elected to ape the failed policies of Obama-following Democrats. The Donald of course needs little prompting when speaking his mind. He jumped onto the scene as millions of voters were disappointed, and desperately wanted someone to stand up and say "Enough!" Perhaps they hoped for a "Mr. Smith Goes to Washington"-style ending to the bipartisan collaboration with lawlessness emanating from the White House. All the 2014 conservative voters wanted was someone to lead. It was precisely the perceived status quo leadership in Congress that made the likes of a Donald Trump inevitable to fill the gap. That was the resounding message of protest from coast-to-coast. The establishment GOP, of course, sees Trump as its nemesis. But these same powers unwittingly caused his emergence. And if they don't like the results, they have only themselves to blame. But a worthy message needs a messenger. The very spontaneity of the message does not necessarily get to match the very best messenger. The issue here is not whether Trump will ever become president of the United States; or whether John McCain was a war hero. (He was.) The fact is, a fast-moving, rage-filled popular movement usually does not grant the time to ponder strategy in the deep recesses of secret rooms somewhere in Washington as to how precisely to convey that message, or by whom. The messenger who emerged is on. You're on, Donnie. Remember, it's not about you. It's your message that counts. The upcoming TV debate is your next big opportunity to blend your messaging with the biggest chance to come off as The Donald who is not only entertaining, but also "presidential." Millions love Donald Trump because he raises issues that the GOP bosses studiously ignore. They also like the man in part because he's incurred the sustained bile of the liberal voices on the left. Now, what happens in the debate? 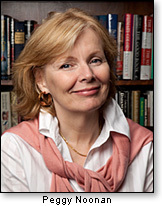 Peggy Noonan, speechwriter for Reagan and the first Bush, predicts The Donald will pass that test Thursday and come off, perhaps surprisingly, as very statesmanlike and substantive, but that he won't be able to sustain that image – that ultimately he will be his own worst enemy, and turn back to what she sees as a natural affinity for off-putting bombast. The ball is in your court, Donnie. Entertainment and substance – those are the ingredients needed. And even your strongest supporters will want to ascertain that your conversions on some issues are for real. Oh, and one more thing – Please, no third party. We already have Obama and Hillary working day and night to see that we're left with just one party "at the end of the day," and of America. 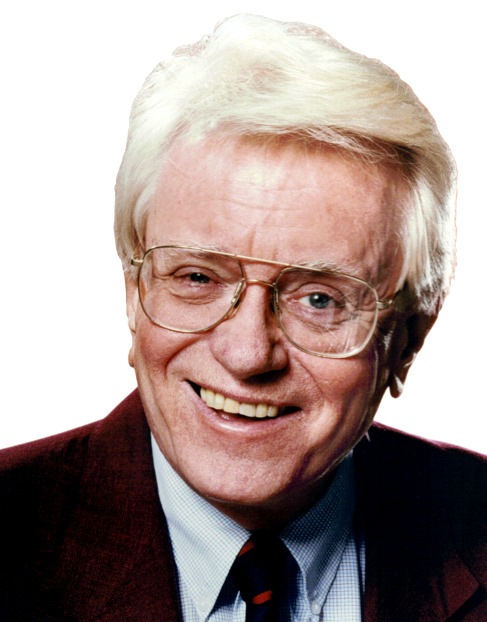 Wes Vernon was, for decades, a Washington broadcast journalist.